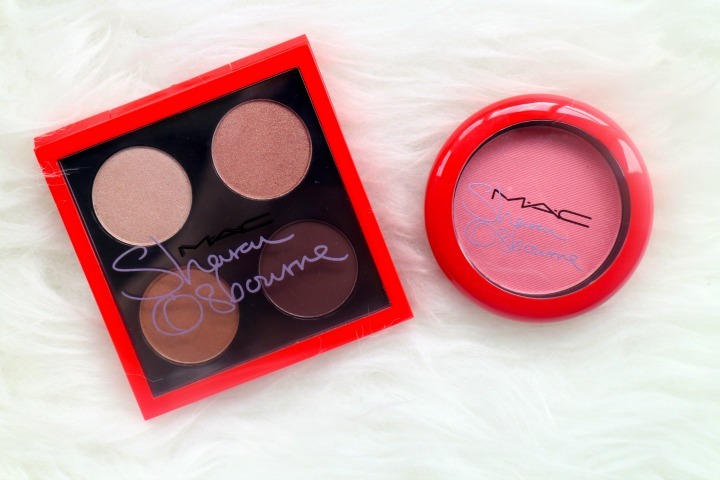 Hot on the heels of Mac's Playland Collection (which you can read about here) was one from Kelly and Sharon Osbourne. Initially this launch didn't excite me, then images starting appearing and I thought I quite like the look of that and then I made the mistake of stepping into a store ' just for a look'. 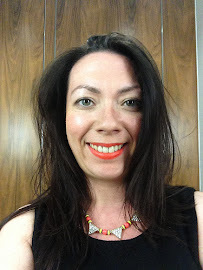 I'm not a fan of buying make up online as I prefer to have a look in store and I'm not the diehard Mac collector that I rush to buy everything on it's release so it's lucky that I have a House of Fraser store minutes from my office that I can pop in to investigate first . You may remember my knocking on the doors at 10am when the All About Orange collection was released here. Yesterday there was the usual flurry on social media from bloggers and the like showing off their purchases and the green eyed monster reared it's head and I started to get that itchy 'I haven't brought anything new in a while' fingers (please ignore Friday's haul - they were necessities!). I wasn't prepared to throw caution to the wind just yet and instead started looking on Temptalia for swatches so I would have a mental wish list in mind and avoid running into store screaming 'one of everything please'. It was Sharon's range which caught my attention, particularly the blush Peaches and Cream. 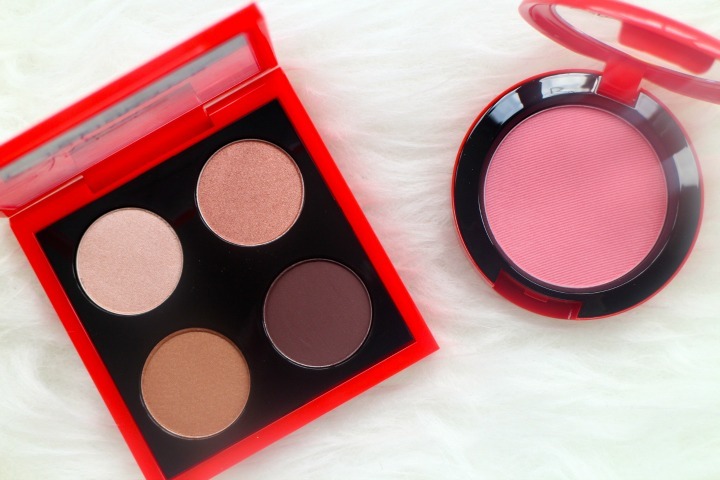 Blushes are a weakness of mine so it was worth exploring. When I saw it in store and had a cheeky swipe across my cheeks I loved how it looked and knew it was coming home with me. Well if I'm honest I didn't actually come across it in store. It wasn't on the display so I asked if they had one to look at and the Mac assistant talked through the images and how they were applied and before I knew I was requesting one was added to my shopping bag. There was also the added thrill when it happened to be the last one left in store. You can see swatches below and I'll update you shortly on how they look when I've given them a whirl this evening for my company party (we have ours in Summer rather than Christmas). Was you lucky enough to pick anything up from the Osbourne collection? 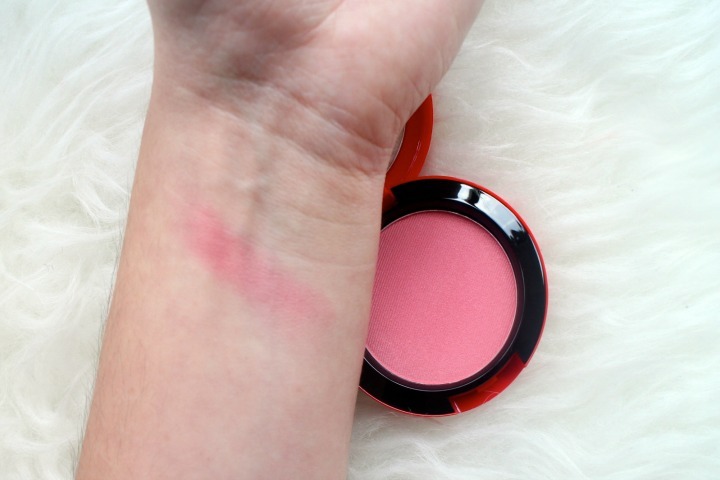 That blusher looks so nice! I must admit I was excited for this collection but then Playland came out last week and I ended up buying 2 lipsticks so I thought I'd best restrain myself for this one! I got Sweet Experience and Toying Around :) love them!! 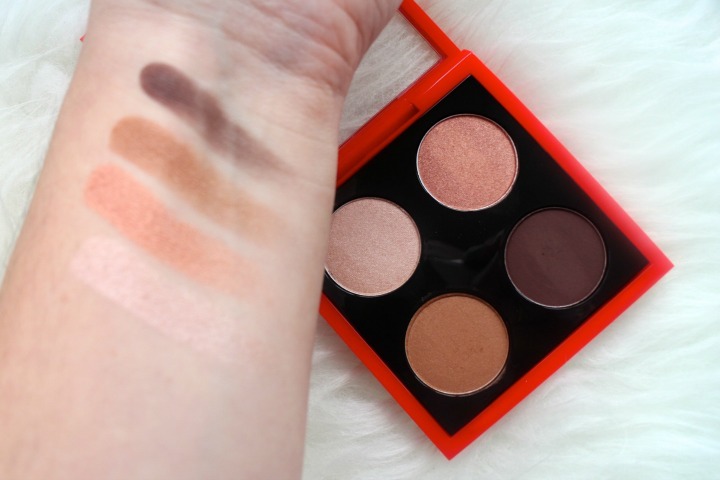 The eyeshadow quad looks the stuff of dreams. I may have to invest!! I love the shadow shades! Gorgeous!